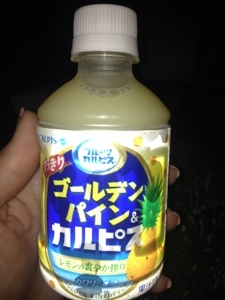 Golden pineapple calpis! I've been searching for it and found it! I miss calpis!!! Does the pineapple one taste good? It's soooo oishiiiii XD delicious!